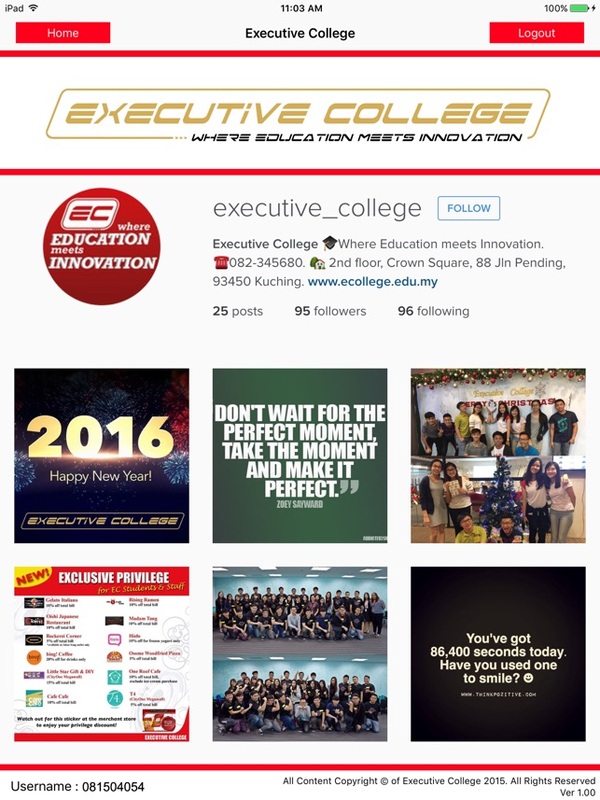 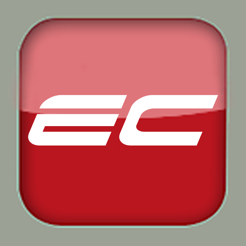 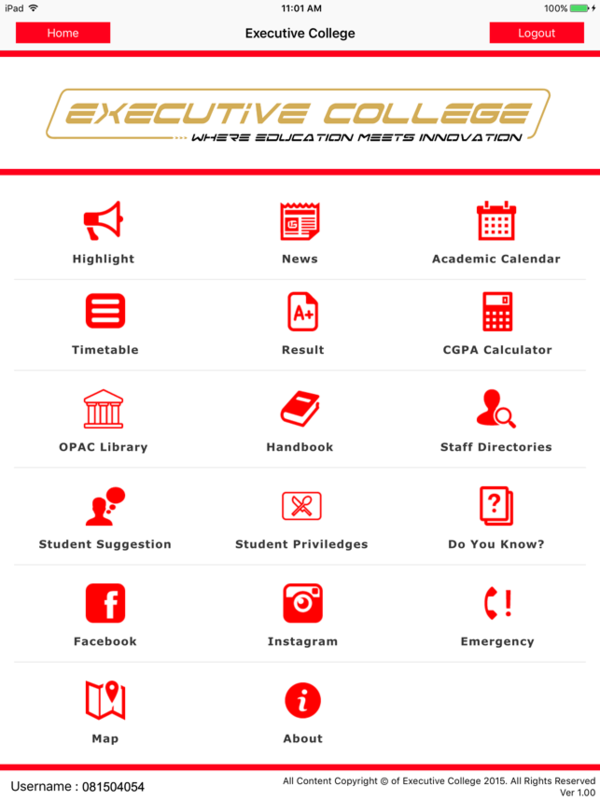 The EC App is the official mobile app of Executive College which helps you to stay connected and up-to-date with campus’s news and updates, exam results, timetables, students’ privileges etc. 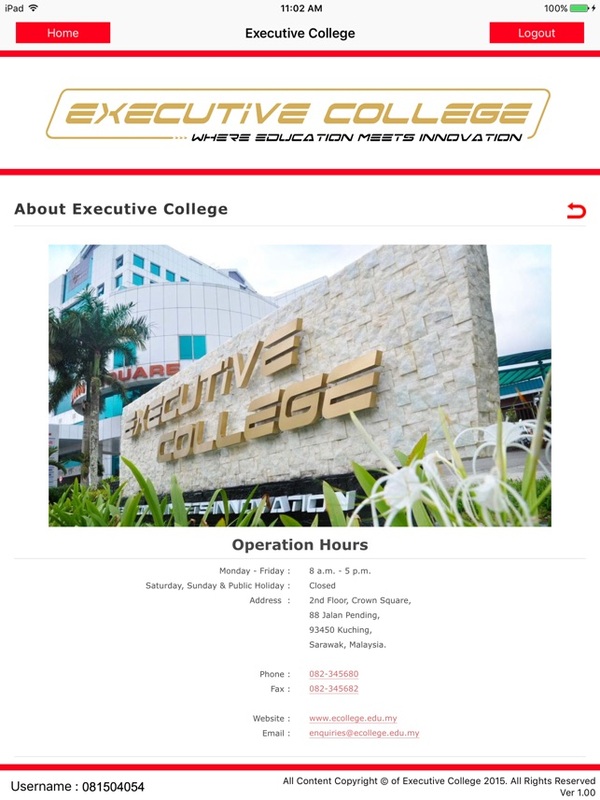 Executive College (EC) is unlike any other institutions in Malaysia, as it boasts one of the most high-tech and advanced teaching and learning facilities for its students. 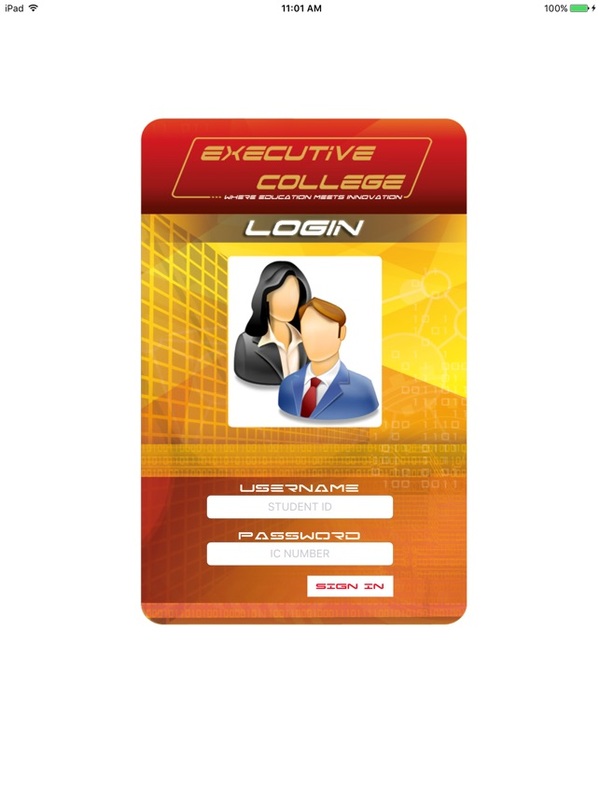 From integrating its learning materials on teaching and learning tools such as the iPad, to its interactive teaching methods, students at Executive College will find themselves totally immersed in a world where education truly meets innovation.